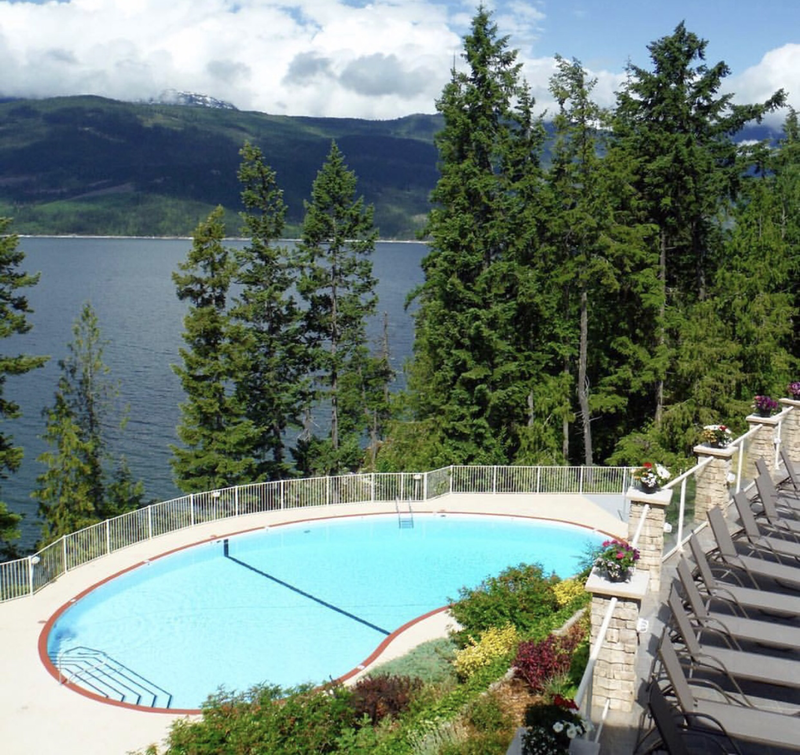 General Description: Halcyon Hot Springs​ is located in a spectacular waterfront location on beautiful Upper Arrow Lake, with views of the soaring Monashee Mountains. Halcyon boasts four hot spring pools that are the centerpiece of the beautiful city of Halcyon Hot Springs, British Columbia. Halcyon features grand accommodations that include chalets, cottages and cabins. They offer dining and a full service organic spa. Location: ​From Vernon, British Columbia, Canada is 210 Kilometers or about a three hour drive to the hot springs. Accessibility: Halcyon Hot Springs​ is accessible. You can drive up to the hot springs. The resort is large but it is an easy walk around the property. The pools are handicap accessible. 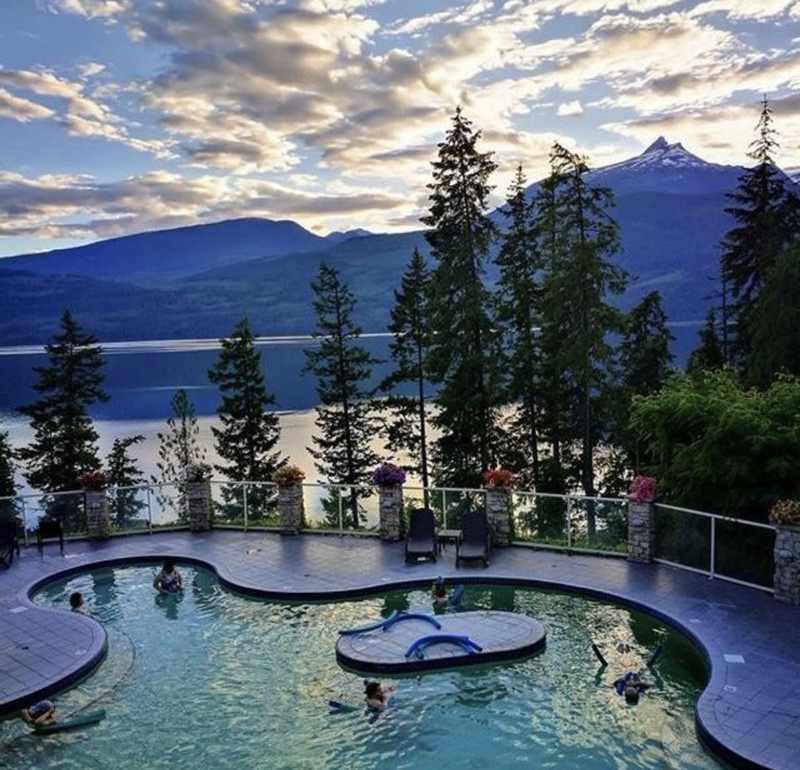 Hot Springs: ​Halcyon Hot Springs boasts four hot spring pools with spectaculr views of the Upper Arrow Lake and the soaring Monashee Mountains. The Hot Pool has a tempature of 105F / 42C. The Warm Pool has a temperature of 100F / 38C. The Seasonal Mineral Swimming Pool is 88F / 32C. The Cold Plunge is 55F / 12C. The water is chlorinated due to Canadian law. Hot Spring Tips: ​Halcyon Hot Springs offers day use if you are not staying at the hot springs. Halcyon is pet friendly. Dogs are not allowed in the pool area. The resort is handicap accessible. They offer no camping. Accommodations are available. Clothing is required. Bring a bathing suit. The restaurant offers a full bar. Youtube Video on Halycon Hot Springs is below.